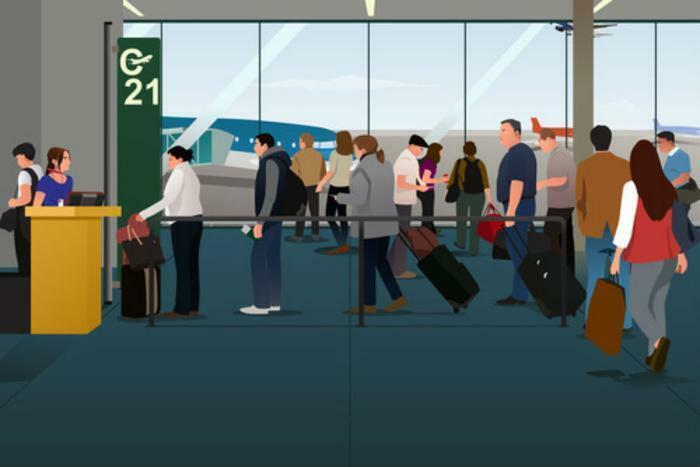 Boarding a flight can be an arduous and time-consuming process for air travelers. After waiting in long security lines and finding their gate, the last thing consumers want to do is wait even longer to take their seat. However, being able to board first can make a lot of difference for some people. Those with disabilities often need the extra space and time to make sure that their flight is safe and comfortable. But one advocacy group says that one type of impairment is being ignored. The nonprofit advocacy group Food Allergy Research and Education has filed a complaint against American Airlines for denying pre-boarding privileges to fliers with food allergies, according to The Dallas Morning News. The group says that it is important that these travelers board early to ensure that their seating area is clean and free of allergens. The group points out that under The Air Carrier Access Act, airliners “must offer preboarding to passengers with a disability who self-identify at the gate as needing additional time or assistance to board, stow accessibility equipment, or be seated.” Extending the pre-boarding privilege to travelers with food allergies would allow them to board before premium class passengers, elite status fliers, or people who upgraded to early-boarding priority. While the act doesn’t specifically mention people with food allergies, the group says that the Americans With Disabilities Act does set a precedent for covering individuals with severe allergies. Further, the group highlights how American’s policy for cleaning its aircraft makes it necessary for some fliers to ensure that their seat is sterilized. “Our planes are cleaned regularly, but these cleanings are not designed to ensure the removal of nut allergens, nor are our air filtration systems designed to remove nut allergens. We are unable to guarantee that customers will not be exposed to peanuts or other tree nuts during flight, and we strongly encourage customers to take all necessary medical precautions to prepare for the possibility of exposure," the airliner’s policy states. The Dallas Morning News points out that other airliners have similar policies, though American is currently the only one being singled out by the advocacy group. Delta Air Lines serves peanuts on its flights but allows passengers to make arrangements so that they can pre-board or request that they not be served. Southwest Airlines also offers to not serve peanuts on flights but excludes any pre-boarding privilege from its policy. United Airlines doesn’t serve peanuts on its flights but also does not include a pre-boarding stipulation in its policy.